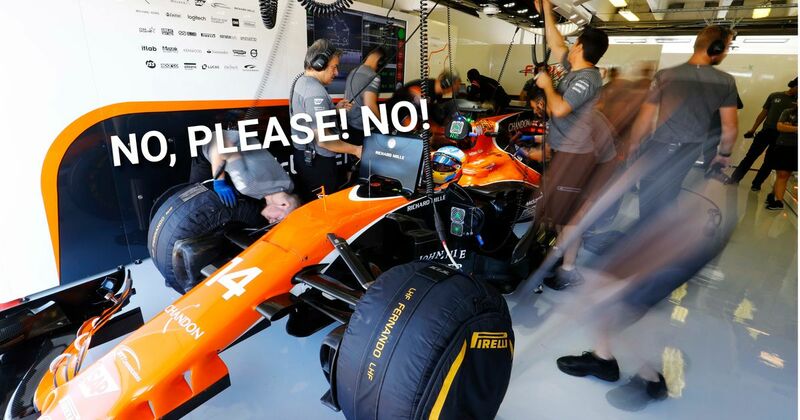 Three things are certain in life: death, taxes, and Fernando Alonso complaining about his Honda engine. Free Practice 1 for the Singapore Grand Prix was no different as Alonso couldn’t even wait until qualifying or the race to start laying in to his lack of power. First came the standard Alonso radio message.  "I have no power"
Then when Alonso was told he was up in seventh place, he claimed he could have been at the front of the pack with a better power unit. But his best of the day (so far) was without doubt when his race engineer asked if he wanted to do another lap. Just a few more races to go Fernando, then you can blame it all on Renault.